Over 30 years ago, with a fleet of just two cars and three drivers, Ronald V. Burns, Sr., founded a same-day courier company that would eventually grow to become a leading transportation services company in the Gulf South. From its humble beginnings providing time-sensitive same-day delivery as Quick Courier Services to clients in the banking and payroll processing industries, QCS Logistics has evolved to become an INC. 5000 Fastest-Growing Private Company and one of the largest customized logistics and delivery businesses in Louisiana. Watch our anniversary video. With expertise in on-demand and scheduled delivery services, cold chain delivery, medical courier delivery, freight distribution and custom logistics services, we are the first choice for premier healthcare, pharmaceutical, auto, critical parts, financial and retail customers throughout Southeast Louisiana. Reliable delivery amid unpredictability is the heart of logistics’ role in the supply chain. We emphasize an innovative, flexible response to the diverse needs of our clients. QCS executes third-party logistics for a range of customers, providing one point of contact and expertise for organizations so they can manage their core business knowing their customers’ delivery needs will be satisfied. We have more than 80 drivers, 75 vehicles and two warehouses to meet our customers’ evolving needs. Each QCS associate undergoes extensive background checks, motor vehicle screening, and training to ensure proficiency in our state-of-the-art transportation management technology as well as the highest degree of professionalism and customer service. QCS Logistics is committed to providing fast, reliable professional transportation, warehousing, and logistics services to our customers. We are personally committed to meeting each customer’s needs with a level of operational flexibility that makes a tangible difference to their business. We leverage state-of-the-art technology to develop logistics processes and customer interfaces that increase efficiency and transparency and reduce costs. QCS values integrity, both as a company and as a corporate citizen, and strives to build our community through volunteer work, sponsorships, and active participation in civic organizations. It’s not an overstatement to say technological development has revolutionized every area of the logistics industry. Our in-depth understanding of new technologies and the ways they can benefit our clients has enabled us to successfully increase productivity and savings for our customers for more than 30 years. As part of our commitment to providing cutting-edge solutions and strategies, we invest in the industry’s leading technology, from the point of development through implementation. Our transportation management system from CXT Software is made up of three integrated modules designed to provide clients with comprehensive solutions to the many challenges they face. Each module answers the specific needs of different users within the delivery chain. The advantage of our software over our competitors’ is its ability to connect all three modules into one operating system that encompasses flexible solutions, real-time data exchange, and accountability. X Dispatch is the module used by our dispatchers and customer service representatives to manage all aspects of operation. We use it to oversee customer accounts, input orders and client information, track dispatches and orders in real time, schedule and optimize routes/STAT orders, manage drivers’ on-time performance, and monitor drivers’ positions via GPS. X Internet offers QCS customers secure online access for placing and tracking orders, including barcode generation, parcel tracking and real-time delivery confirmation. The system also allows clients to view invoices and generate usage reports. NextStop Mobile is CXT’s easy-to-use, next generation smartphone app for drivers. It provides QCS customers with greater visibility via real-time GPS tracking, and integrated camera barcode scanning for tracking deliveries. Designed to work seamlessly with X Dispatch, NextStop prompts our drivers with verbal cues during delivery. Two-way radio and email communication with dispatchers, along with these other features, allows drivers to manage orders, optimize routes, and send updates in real time. 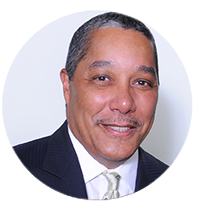 Ronald V. Burns, Sr., founded QCS Logistics in 1984 and serves as its President and CEO. His focus on providing premier courier solutions to businesses has brought him industry-wide recognition, and he served as a founding member of MCAA, which is today the Customized Logistics and Delivery Association (CLDA). Under his leadership, QCS has grown into one of the largest delivery services in Louisiana. In addition to his position at QCS, he is President of Global Parking Systems, a national airport parking management facility, and serves on numerous civic and charitable boards. 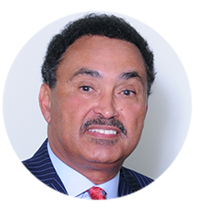 He is chairman of the board of Orleans Parish Hospital Service District A, which oversees New Orleans East Hospital. 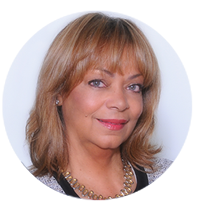 Sheila B. Burns, Vice President and Co-Founder of QCS Logistics, oversees all administrative aspects of the company. With more than 25 years’ experience managing public transit systems operations for the city and state, she is an expert in contract negotiation and administration, industry insurance, and strategic development. She is a New Orleans Tourism Marketing Commission board member representing the New Orleans East Economic Development Foundation. Mrs. Burns also serves as the chair of the Louisiana Workforce Commission and the committee to restore Gallier Hall. Warmoth Guillaume, QCS Vice President and General Manager of Operations, manages all day-to-day internal operations of the company, including customer service, driver recruitment, dispatching, marketing, and invoicing. A 26-year veteran of UPS, Guillaume has worked in all areas of the industry, from shipping to training, and has been the recipient of awards for excellence in service and cost operations as a UPS Operations Manager, overseeing the largest operating centers in the Gulf South. Jason G. Burns serves as Partner and Business and Development Manager of QCS. His passion for leading the charge in transportation and warehousing strategy plays a crucial role in the company’s state-of-the-art technology platform implementation and development, which continues to increase QCS’s services, customer base, and market footprint. A graduate of the Goldman Sachs 10,000 Small Businesses Program, he is a board member and treasurer of the CLDA (Customized Logistics & Delivery Association) and offers his expertise as a mentor for the organization’s Growth Council. 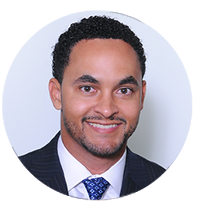 A civic and business leader in the community, he is a founding member of The Urban League of Greater New Orleans Young Professionals and serves as a board member for the N.O. Police & Justice Foundation and the Urban League of Greater N.O.